This is one of the weirdest fetishes I’ve seen – being paid to be sat on. This petite blonde makes somewhere north of $200k a year. Ground control to Astronaut Sonia? This woman is on a short-list of those willing to being the first humans to travel to Mars. She is going despite having a family here and they fully support her. The trip will take several years and estimates that the first fatality will occur only 68 days into the trip. The 1970’s brought about the “exploitation” era of movies. You had the exploitation of women, men, animals, & different races. The “Blaxploitation” brought us such gems as “Foxy Brown”, “Shaft”, & even some horror icons like “Blacula”. The character of “Slaughter” was a vehicle for the incredible Jim Brown. The franchise boasted several films including today’s selection. Slaughter is an ex-Green Beret that has had some trouble with mobsters, drug dealers, & other criminal elements since they killed his family. This time around, a local money-launderer wants him dead and of course we know that Slaughter ain’t gonna let that happen. Look for cameos by George Gaines & Ed McMahon! Someone posted a pretty good visually clean version of this 1973 classic on YouTube. Would you complain about being paid for doing nothing all day? This guy in France got paid almost $57000 a month for doing nothing for almost 12 years. He uncovered fraud within his company and was basically placed in limbo, still collecting a paycheck. He is suing his employer for over $500,000 in compensation for “wasting” his time. You can do almost anything with a 3-D printer these days. From making cheap little toys to actual body parts & guns, someone has figured out how to make a set of TSA master keys. With these keys you can open any TSA-Approved luggage lock. They were made from a photo of a set of keys, not a real set! Pizza Hut back in the late-1980’s was really on top of the marketing game. One of the biggest promo’s I remember was a 3D television movie tie-in. You could purchase 3D glasses with your take-out pizza and watch not one, but two classic 3D movies. 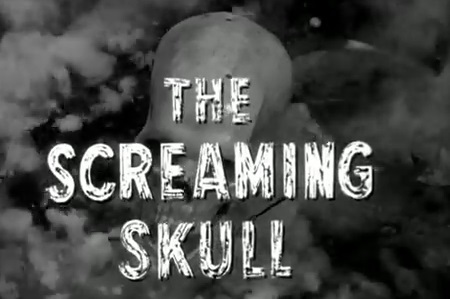 There was “Hondo” starring the late John Wayne and for those into horror movies, there was “The Screaming Skull”. Anyway, a newly-wed couple head to their palatial abode (which used to be occupied by the husband and his dead wife). Strange things begin to happen to make the new bride think she is going mad, or is she? Someone posted a pristine print of this classic on YouTube for all of us to enjoy. If you have the old 3D glasses, you can watch a 3D version too! Sunday marked Nintendo icon Mario’s 30th anniversary in his standalone video game appearance. He had made minor appearances in some other Nintendo titles such as “Donkey Kong”. The height of laziness, a corrupt Brazillian mayor spent her days texting her staff and dealing with town business via the WhatsApp! cellphone app. Is this wrong? A man built a patio using discarded military tombstones, not used but damaged discards. A “drinkable book“? A group has developed a book whose pages can be used to purify water from even the most murkiest waters around the world. A lady is suing Lambert’s café (famous for their “throwed rolls”) because an errant roll throw hit her in the face and caused injuries to her eye, head, & neck. Really? Really? Back in the 1980’s, before Chuck the Rat came around, the kings of kid-dom were Fats Geronimo and the Rock-afire Explosion”. 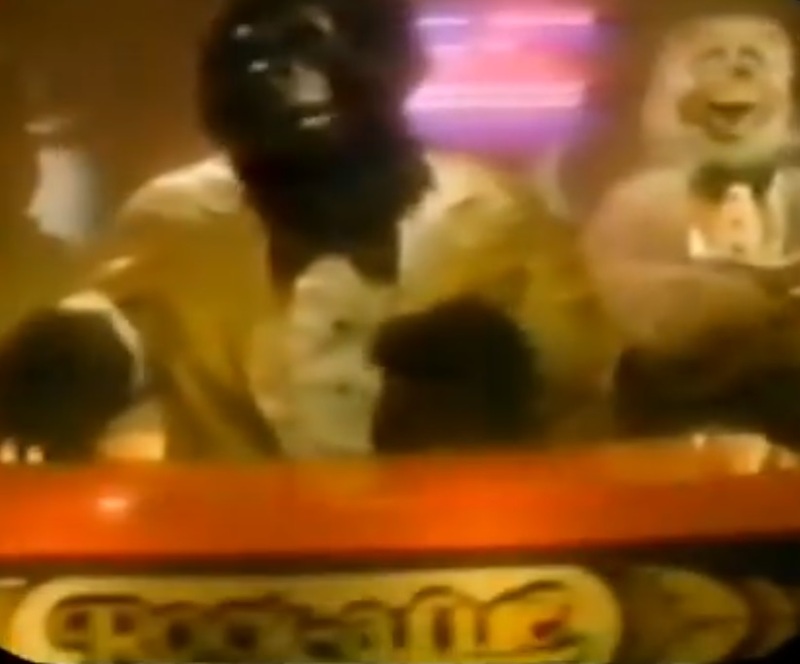 Showbiz Pizza Place was the place to go for kids. Rides, games, pizza (even beer & wine for the adults!). Today’s selection is a documentary about the stars of Showbiz Pizza Place and the people who love them. Most going so far as to re-create the stage show by purchasing it from the creator. It may seem creepy to most, but these people are passionate about a particular piece of their childhood just as people are passionate about comic books or baseball cards. It’s cool to see these characters come alive, I certainly have some memories of going to Grand Rapids, MI to see them with my family. Someone was cool enough to post this gem for all to enjoy! Follow us on Twitter (@Junkiosity) and like us on Facebook! This week wasn’t really planned (which is where some of our greatest conversations come from!) and it shows. MattyV talked about his trip to Canada and offered tips on saving some money and what is good/not good about the Niagara Falls area. The gang also talked about the movie, “God Bless America“, a VERY good commentary on the state of our nation. It’s currently streaming on Netflix, the gang says to check it out for sure! This week’s pick is an oldie but potentially a goodie. Kurt Russell plays Rudy Russo, a used car salesman trying to break out of the business of cheating customers and into the business of cheating constituents (he’s running for senate!). 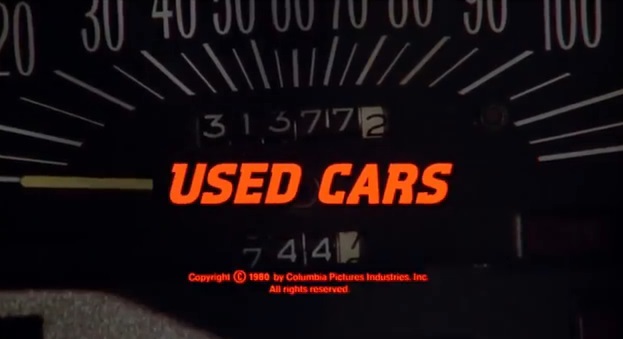 The owner of the used car lot (Jack Warden) is willing to help him achieve his dream, but only if he promises not to let his twin brother (also played by Jack Warden) get his hands on the used car lot in case of his passing. Whelp, you can guess what happens next. From car chases to wacky pirated commercials, Rudy and his crew do their best to keep the car lot afloat and not let on to the owner’s demise. Sure it’s out on DVD, but you can watch it on YouTube for free! First there was the KFC Bowl. Then the Double-Down. Then the Double-Down Dog. Now the Chizza is coming to KFC. Yes, a chicken breast with pizza toppings. When is the madness going to end! Foodbeast has a definitive list of fair foods available across the country. Deep fried butter, anyone?